Wurzburg, located in the southern part of Germany, is probably not a place that is on everyone’s bucket list. 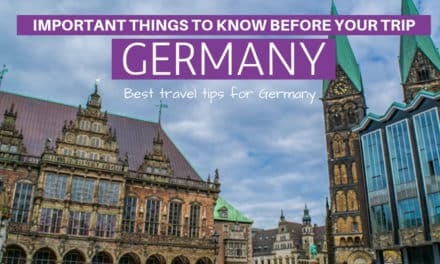 And while it surely is not as famous and exciting as Munich or other German cities, it is a beautiful, vibrant, and lovely city that you should add to your itinerary. As a German, I just recently visited. After visiting the prettiest town in Germany (Rothenburg ob der Tauber), I knew I wanted to do the whole “Romantic Road” road trip. Other places that you can visit along the road are, e.g. the incredible Neuschwanstein Castle. Wurzburg is the end or starting point on the more than 400 kilometer long Romantic Road. And after spending a night in Wurzburg, I was smitten by its castle, the friendliest people in Germany, its historic and pretty buildings, the town center, and its vibe. Would I visit Wurzburg again? Definitely. 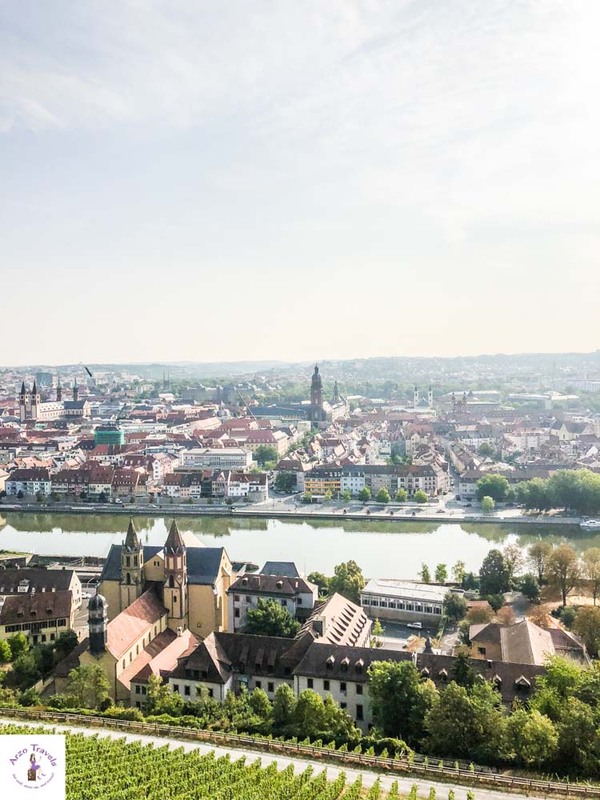 Do I recommend visiting Wurzburg? Yes, for sure (here are a few more places in Bavaria I totally loved). 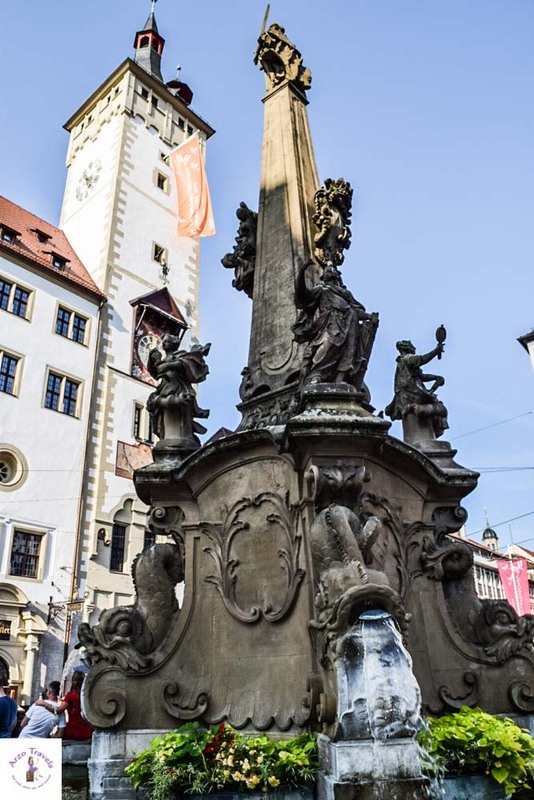 While I am also sure that, as a slow traveler, you could spend weeks in the city and always discover something new, I also think that one day is enough to find out about the best things to do in Wurzburg. Wurzburg (in German, written as Würzburg) is quite compact, so many sights can be discovered on foot. 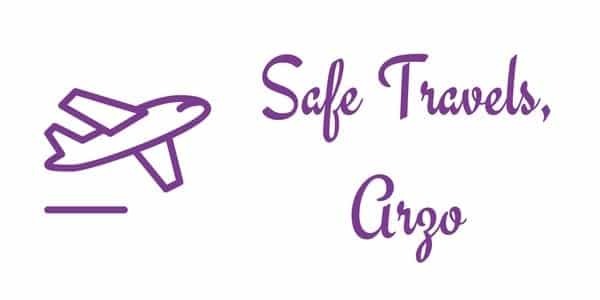 If you are road tripping, then you might want to drive to one or two places by car, but I suggest using public transportation for the one or two tourist attractions that are outside the city center. Location: In the state of Bavaria, about 1.5 hours from Frankfurt and three hours from Munich (or if you do the “Romantic Road” road trip, 50 minutes from Rothenburg ob der Tauber). Plane: If you arrive by plane, Frankfurt or Munich would probably be the best airports at which to arrive. Train: The train connection to Wurzburg is good, so you can get here easily from other main cities or towns via train. 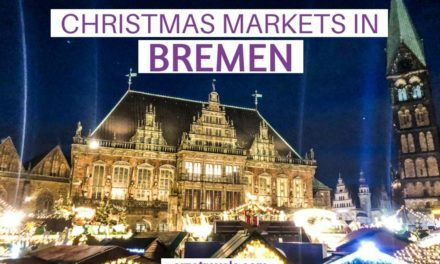 Click here if you like to do a guided tour from Frankfurt. I stayed outside the city center at an Airbnb. However, I actually suggest staying at the town center, especially if you are here only for one night, so you don’t waste time on traffic or driving. 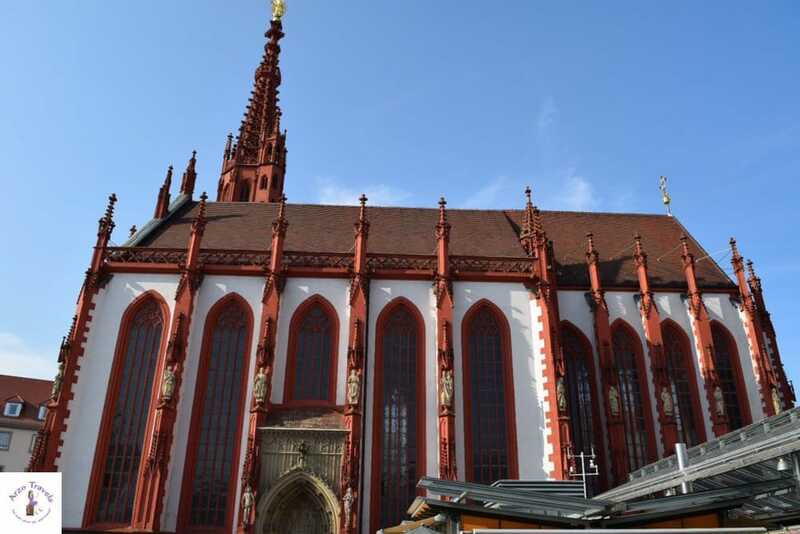 Click here to find the best accommodation for your stay in Wurzburg. I am not a fan of traveling in Europe in July or August. This is normally high-season when many locals are on holiday, so you are mostly only dealing with tourists. Also, it can be really hot in summer (even in Germany) and prices for accommodations can rise. I suggest getting here in September or springtime (we can’t predict the weather in Germany, so while the weather can be bad or rainy, it would still be my preferred season to visit if I were flexible). 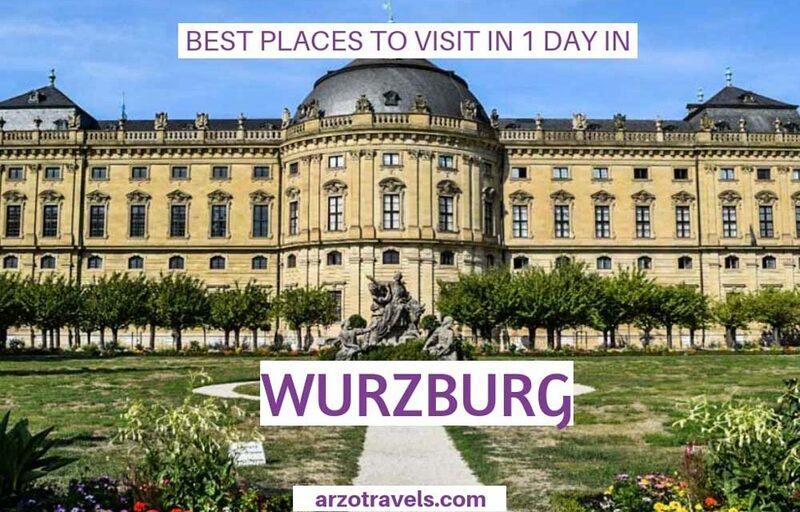 So, here are my tips for what to do in Wurzburg, what to see, and which places to visit in one day, as well as a few more important travel tips. Here are my favorite, most beautiful places in Wurzburg that I have stumbled upon. Oh, this is a great place to start your sightseeing in Wurzburg. The Residence Palace is located close to the city center and you can easily get there on foot. 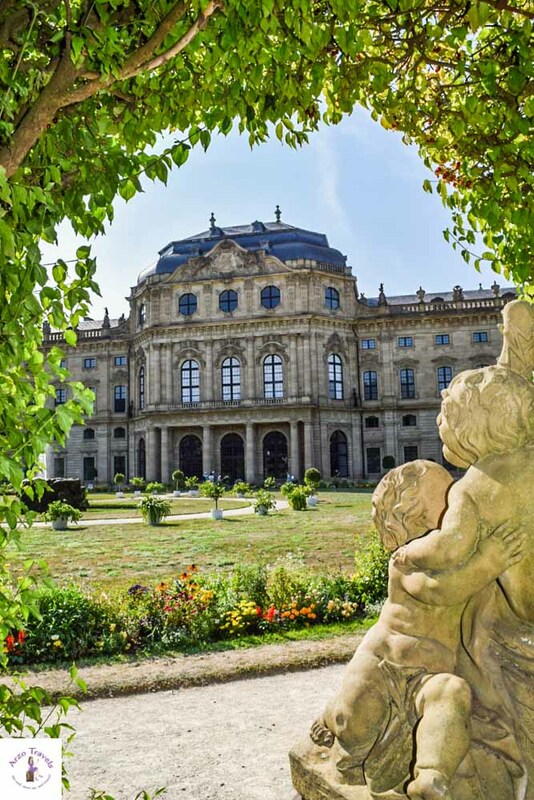 The Residence Place, which was built in the 18th century and used to be the residence of the former Würzburg prince-bishop, is one of the most well-known and important baroque palaces in Europe. Just walk around the pretty gardens (for free) and enjoy the lovely views. In summer, it was wonderfully lush and flowers bloomed everywhere. For those who like to rest, this is the best place (thanks to the beautiful surroundings and the many benches along the way). You can also do guided tours and visit the inside (since I was traveling with my little dog, I had to skip that). To enjoy the interior, here is some information. Würzburg has a beautiful old town with many interesting buildings. So, while there are a few buildings that you should stop by, I suggest just walking around and seeing where your feet take you. With many shops, restaurants, and old and historic buildings, it is just a pretty town center. 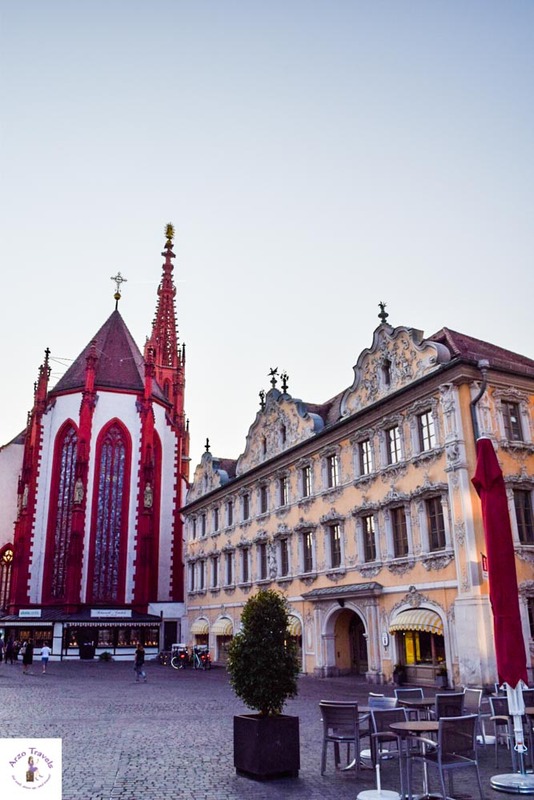 A few places you should see in the old town of Wurzburg include: the Falkenhaus, with its bright yellow rococo façade (which is home to the tourism office), the Marienkapelle (a church in gothic style from the 15th century), the Market Square, the Four Tubes Fountain, and the Wurzburg Cathedral. The Julius Promenade isn’t really picturesque but is perfect for a break. This street, in the city center, is the perfect spot for lunch. With a lot of restaurants catering to every budget and taste, you will find something you like. 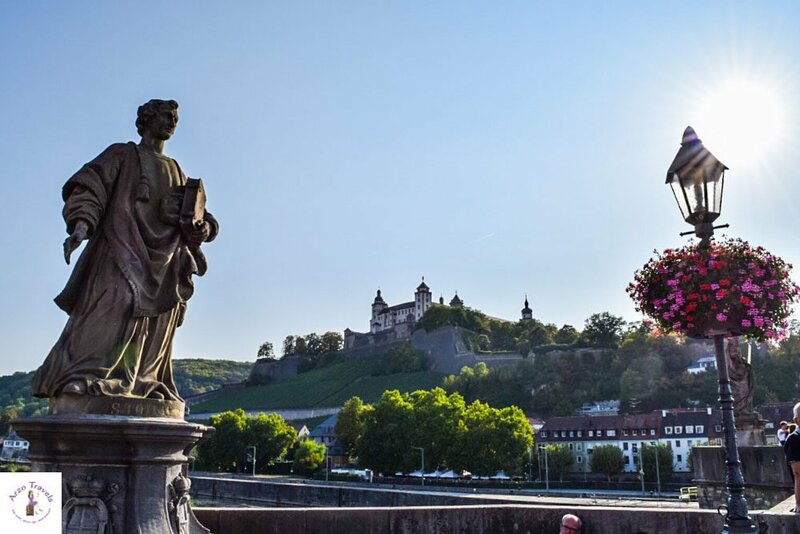 From the promenade, you can head (by bus or on foot, if you enjoy some hiking) to the Marienberg Festung (Marienberg Fortress), which is located on the top of a hill with lovely views over the city. The first part was probably built in the 8th century, but the main part was constructed in the 12th century. From the 13th to the 18th century, it was the ruling seat of the Würzburg prince-bishops (before the Residence Palace became the prince-bishops’ seat). You can walk along the walls and enjoy the views for free. If you want to see the Princes’ Building, you need to purchase a ticket (prices are around 4.50€). If you are visiting on a warm day, Marienbrücke might be the perfect stop to end your day. Grab, together with tons of other people, a drink from a cafe and enjoy it while standing on pretty Marienbrücke Bridge. You might have seen it on your way to the Marienberg Fortress. From the bridge, you can see the fortress and look down the Main River. 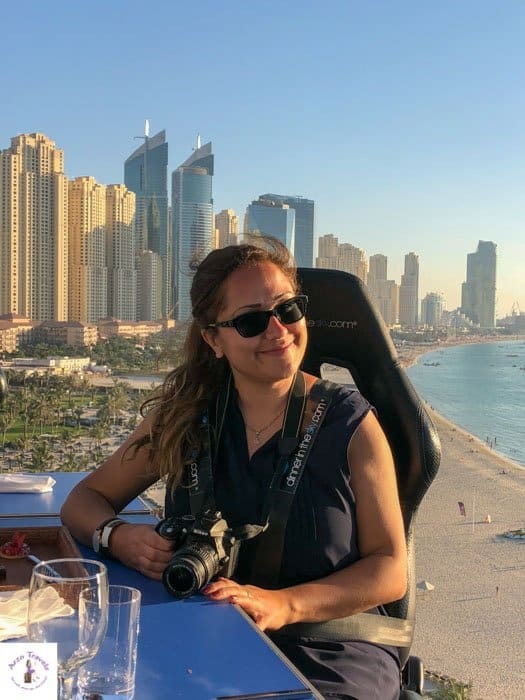 The bridge itself is indeed special, so my tip is not only to focus on the drinks but also on the details of the bridge. Personally, this place makes Wurzburg even more special. 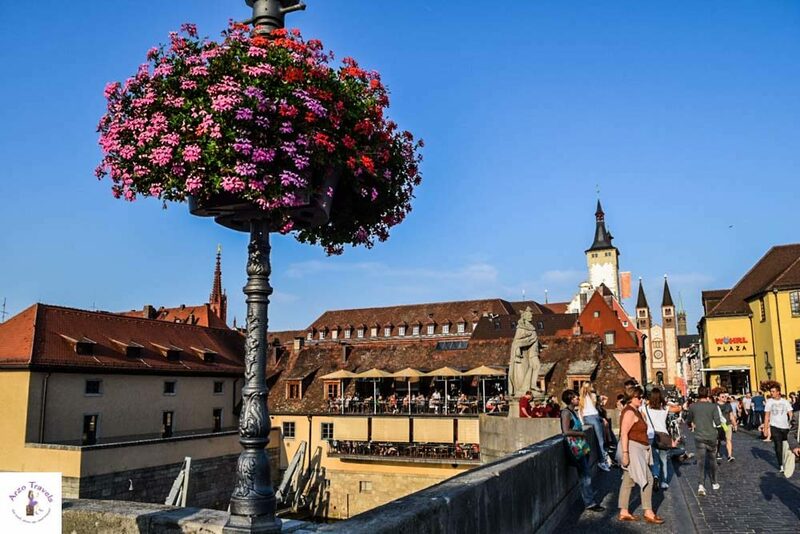 Standing here on the Marienbrücke on a warm and sunny day, with or without a drink in your hands, will make you realize how pretty, friendly, and nice Germany – and Wurzburg – really is! While there are a few more places I liked a lot, these are probably the best places to see in Wurzburg 1 day. Hopefully, this Warburg itinerary will help you to plan your perfect trip.